I can’t believe Christmas is just a few more days away! The holiday season always gets me in the mood for some arts and crafts. 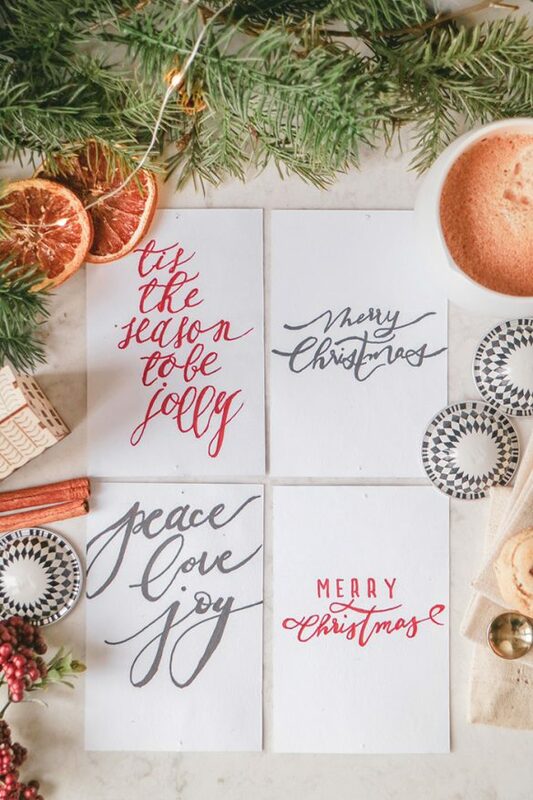 Whether it be decorating some freshly baked cookies, curating personalized baskets, or getting creative with my paint strokes, there is nothing more special then adding a few homemade touches when it comes to holiday gifting. 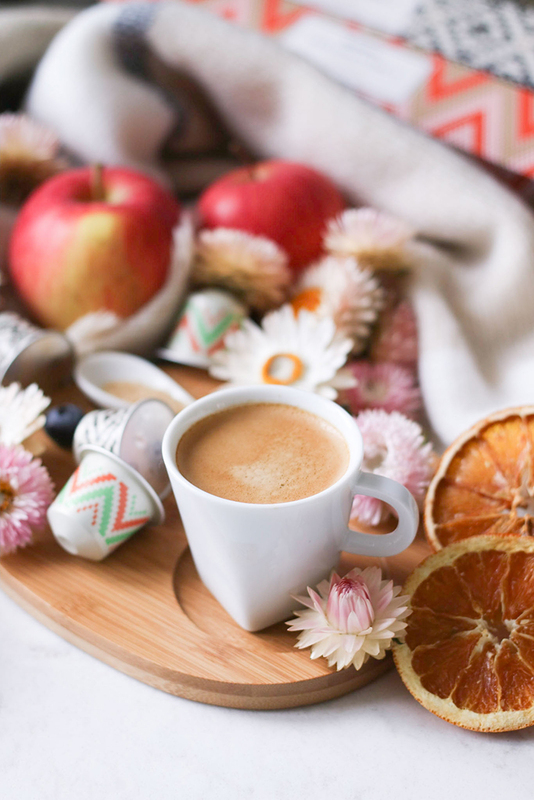 It’s that magical time of the year again when Nespresso launches it’s Limited Edition Festive Collection just in time for the holidays. This year, our taste buds are being transported to Paris! September marks the time of Toronto International Film Festival (TIFF). Last month, the city was hustling and bustling with celebrities and film makers as they proudly walked the red carpets and premiered their fine works of art for the first time. I had the distinct pleasure to attend a number of events hosted by Nespresso, including Coffee with Creators and the premier screening of “First Man”, starring our very own Ryan Gosling! What’s more refreshing than an iced coffee to kick off a hot summer day you ask? 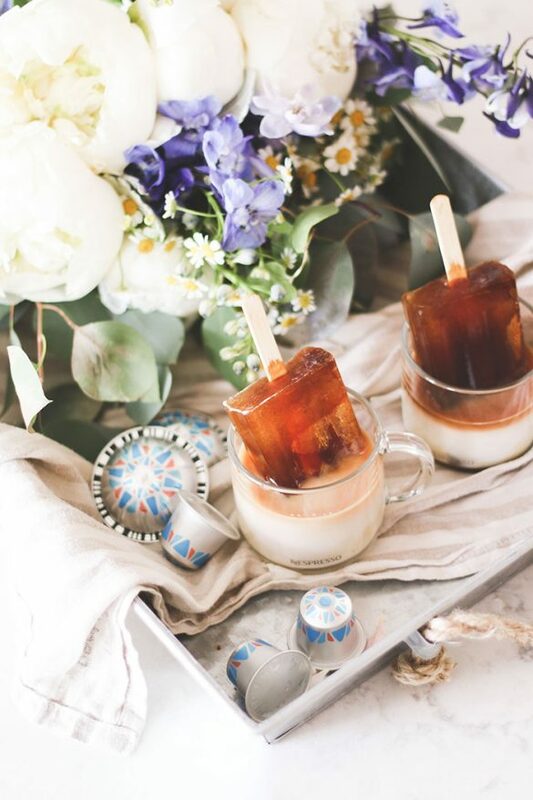 A Coffee Iced Pop of course! Since the launch of Nespresso On-Ice capsules, I’ve been conjuring interesting ways to enjoy them. I recently acquired a set of vintage style ice pop molds and figured out that while iced coffee is already awesome as is, freezing it then dunking them into a glass of milk, is ever so yummy! Plus, they just look so darn cute and perfect for parties! I’ll find an excuse to treat myself to a yummy frozen treat any time of the day. 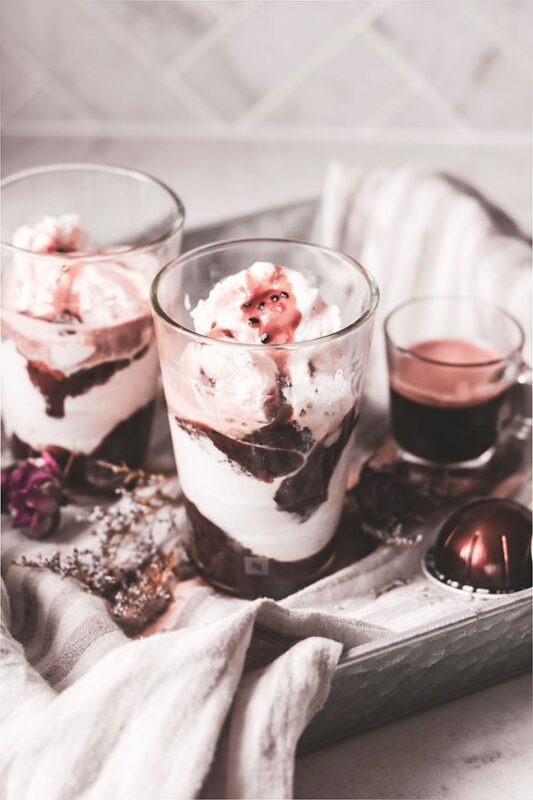 This particular one combines my love for greek yogurt, coconut milk, and coffee and guess what, healthy enough to enjoy for breakfast! Which Nespresso machine is right for you? 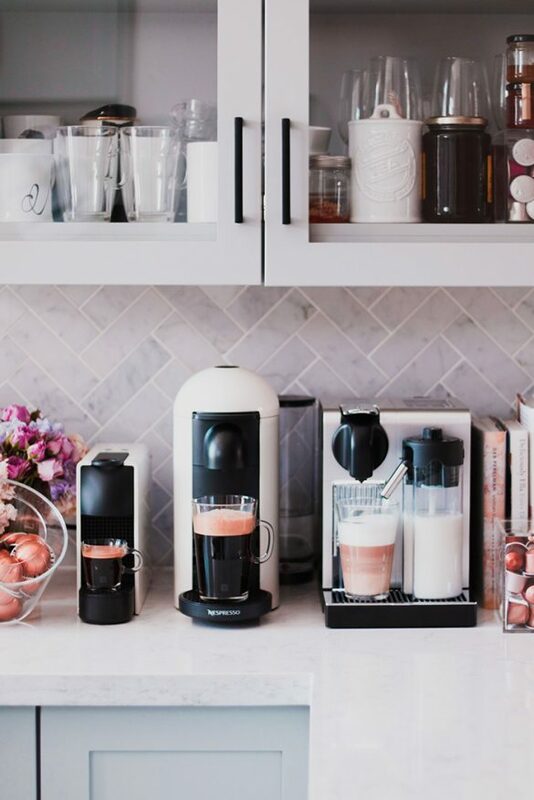 As a proud owner of five Nespresso machines (yes, I said five), I quite often get questions from readers, friends and family on which Nespresso machine they should buy. Well, that’s a good question! Honestly, each coffee machine is unique and can offer something slightly different from another. But if you’re in the market for only one (most people are), then I would focus on what is most important to you. For example, are you looking for a machine that offers you the kind of coffee you want to drink daily? Or are you seeking for one to entertain guests? Perhaps you’re most keen on the design and style of the machine. I love a little spice (or sometimes a lot!) in my food. I find spicy foods so warm and comforting. 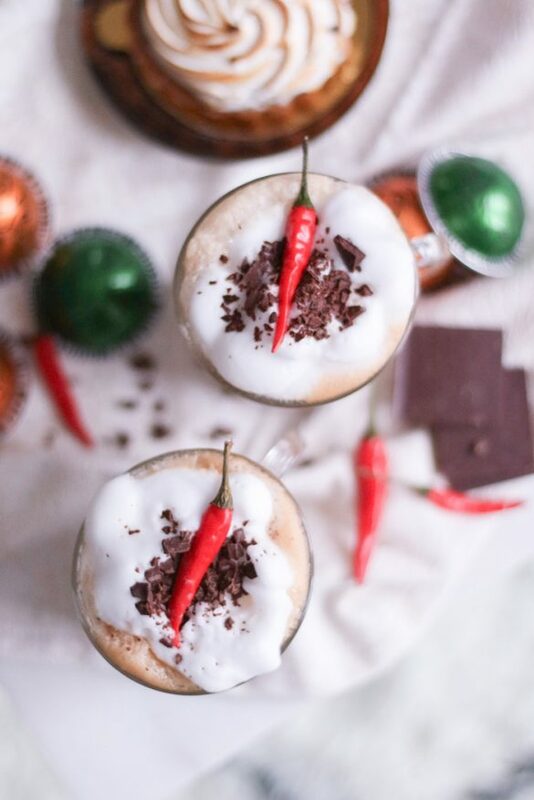 With the dreadful temperatures we’ve been experiencing this winter, all I can think about is snuggling up to a cozy, spicy bowl of stew or perhaps a hot spicy beverage such as this Chili Chocolate Latte for a change! Got a Coffee Lover in your life? We’ve ALL got a coffee lover in our lives. If you’re still racking your brain on Christmas gift ideas, here is a great last minute, yet impressive option. Gift boxes and baskets have really stepped up their game in the last several years but guess what, you too, can curate a beautiful one without having to spend hundreds of dollars. 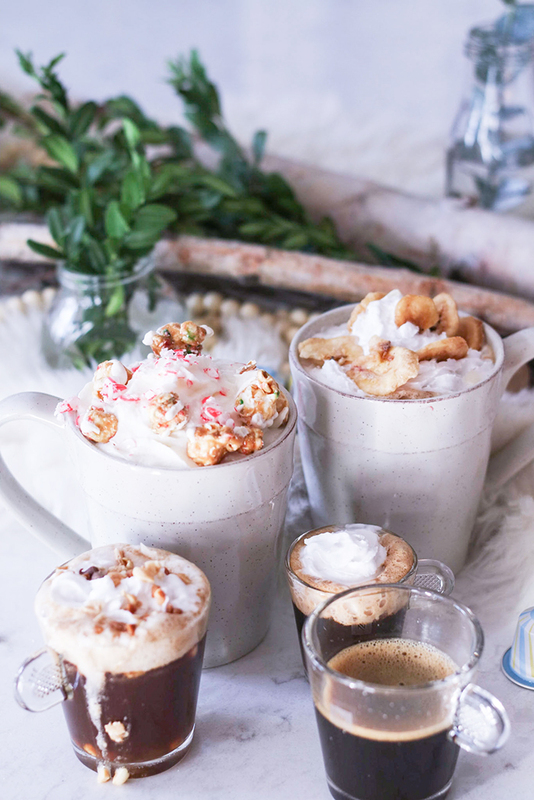 Ready for some delicious festive coffees? 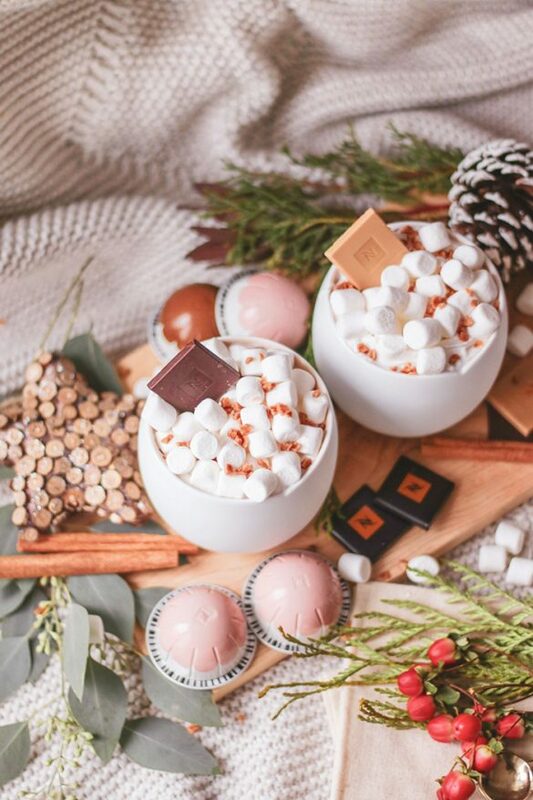 Holiday season aka the best time of the year is finally upon us and I’ve got so much fun DIYs, decor and lifestyle inspired content planned for you! First up is a selection of delectable festive coffees. 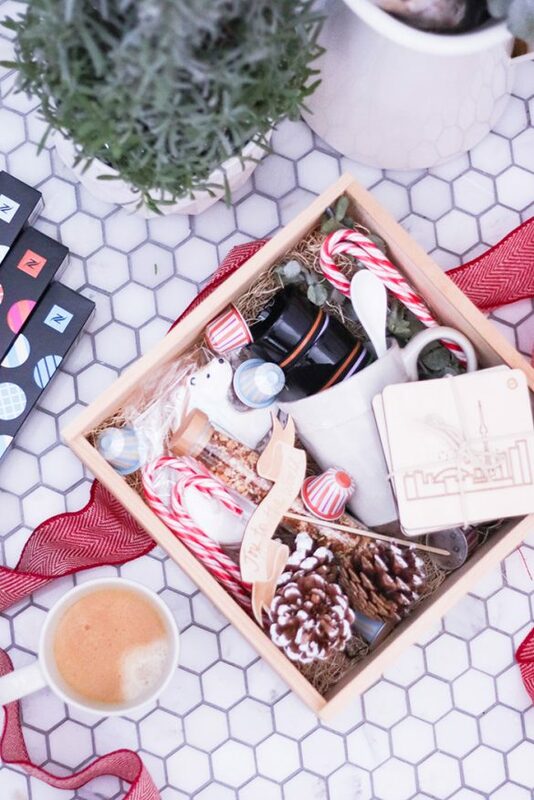 Nespresso recently released their holiday variations – Confetto, and these flavoured capsules don’t disappoint! The collection is nothing but fun and you can really experience the originality behind the design of the collection, through the flavours, the names of the capsules and the bold and colourful packaging created by globally respected artists, Craig and Karl. Are you a coffee lover? 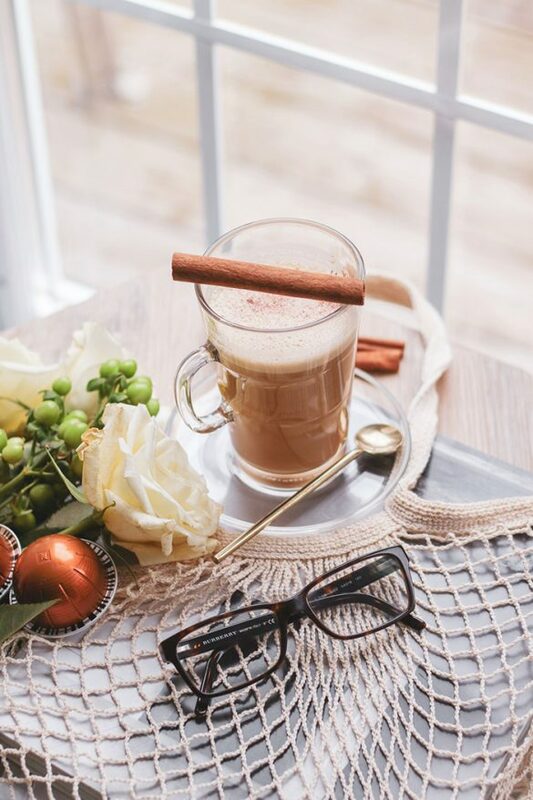 If so, when you sample a new coffee you’ve not yet tried before, is there a tasting ritual you deploy, much like that of wine lovers: swishing the glass, and examining the colour and texture? I do. Though I have my usual list of Nespresso capsules I drink on a regular basis, from time to time, I’m given an opportunity to experience new and exciting releases. And when I am drinking a type of coffee for the first time, I like to close my eyes, smell the aromas, and as I’m consuming my first sip, I like to imagine being transported to the hidden origins of these special creations.